I always get excited for spring because I love floral prints, pastel colors, and of course seeing flowers blooming everywhere. Since my winter wardrobe is comprised mostly of neutrals (I love a bit of gray), it makes a nice change to have a variety of colors in my closet for once. But before I add new clothes to my closet, I always make an effort to declutter and identify which pieces of clothing are still working for me. 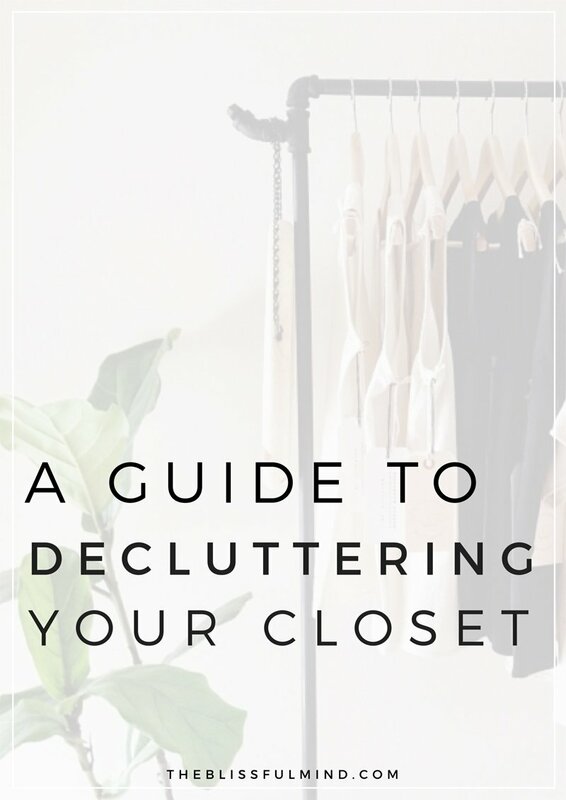 Whether you have a capsule wardrobe or not, I encourage you to take a thorough look at your closet and get rid of the things that you simply don’t wear. It makes life so much easier when you have fewer options, I promise. Create A Mess. 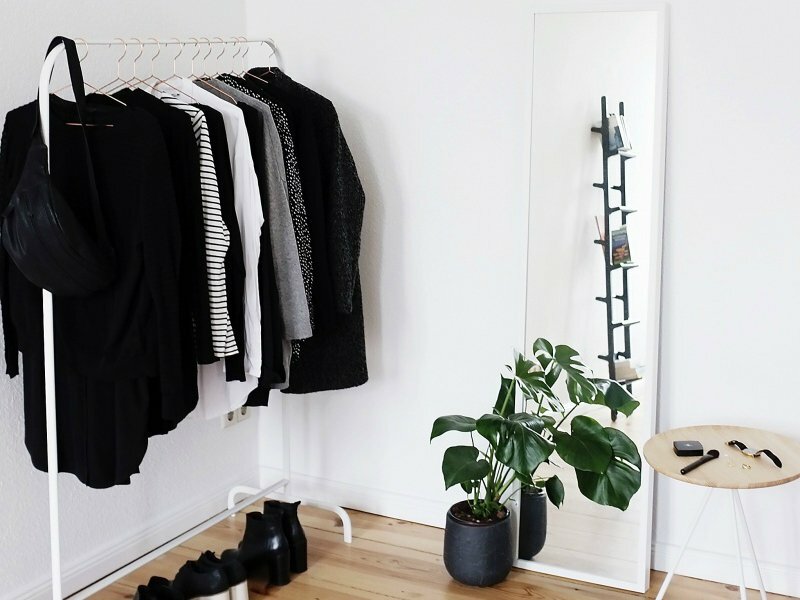 Take out everything from your closet, literally everything. Your jeans, coats, tees, scarves, shoes, the whole lot. Put them on your bed. Undies probably don’t need to be included, but it never hurts to get rid of those ones with holes in them. Sort into piles. I like to separate my clothes into 3 categories: Spring & Summer, Fall & Winter, and All Seasons. You can avoid clutter by keeping seasonally appropriate clothes in your closet and everything else in storage. If you wear all of your clothes year-round, skip this step. Figure Out Which Clothes You Love. This is the quick and easy step. Which items do you find yourself wearing frequently? If you’re in a hurry, what do you reach for because you know it will look good? Put those back in the closet. This should be quick and easy. Don’t second guess yourself, no going back and adding things that you wish you wore all the time. Let’s make some space and get rid of that clutter. Be critical. Be brutal. Don’t accept anything but the best. Have two bags at the ready: a bag for donations and a bag for stuff to throw out or use as dust rags. If you split your clothes into seasonally-appropriate piles, work through them one by one. Clothes You’ve Never Worn. If they still have tags on them, try and return them. If it’s too late, donate them or give to a friend. Clothes You Don’t Wear. If you haven’t worn it for a year, you’re most likely not going to wear it again. Trust me. Clothes You Have Multiples Of. 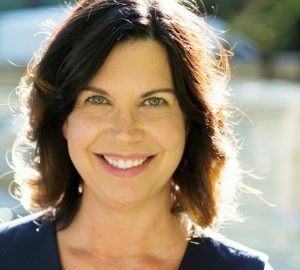 I had two grey cardigans in my closet pre-detox. Why did I need two? I never wore either of them, to be honest. Clothes That Annoy You. I’ve had clothes in the past that I absolutely loved because of the color or style, but they would just annoy me when I wore them. If it bunches, creases, rides up, or shows your bra, it’s time to go. Clothes That Don’t Suit You. Sometimes we want the latest trends, even if they don’t look good on us. I’ve learned to stay away from trends and keep within my own style. Most of the time you can figure out what doesn’t suit your body right away. Clothes For Special Occasion. I would always buy a new dress before a formal event, especially when I was in a sorority in college. The trouble was, I would never wear it again because it wouldn’t feel special anymore. Next time you need a fancy dress, try sticking to a little black dress, using something like Rent the Runway, or even just borrowing from a friend! Clothes That Were Expensive/Sentimental Items. Every time you look at it and don’t wear it, you are going to feel that it’s nagging at you. Try to sell expensive items (Ebay, Poshmark), and take pictures of sentimental items then donate them. Clothes With Tears. Is it worth fixing? If so, fix it already. If not, get rid of it or turn it into a dust rag. Clothes That Aren’t You. Does it fit with the rest of your closet? Are there at least 3 other things you can wear it with? If the answer is no, get rid of it. Clothes You Just Can’t Seem To Let Go Of. If there is anything that you just can’t seem to part with, put it in a bag out of sight, set an alarm for a month later, and see if you missed it. If you completely forgot about the item, get rid of it. Organize. Put all of the clothes you’re keeping back in your closet. 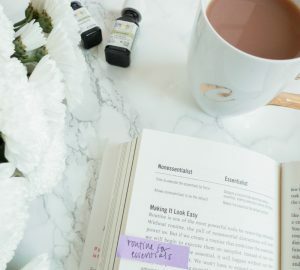 There are so many ways you can organize, but do what works for you. Some people like organizing by color, but I prefer grouping like-items together ex. tees, sweaters, cardigans, coats. Store. I use these cases from Ikea to store everything that isn’t seasonally appropriate. They easily fit under the bed or on a closet shelf. Donate. Donate that bag of clothes as soon as you can, otherwise you might find yourself tempted to put some items back into your closet! 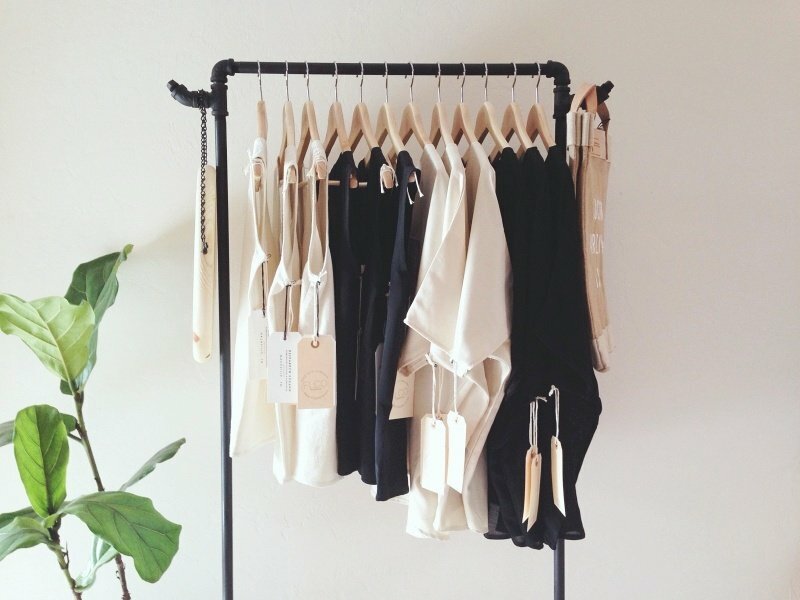 Want to learn more about creating a capsule wardrobe? Check out these posts! this is so useful! 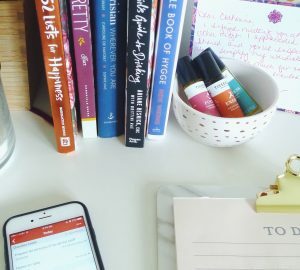 I’ve always wanted to have one of those cool racks instead of a closet-these are some great tips to help me declutter! I am in desperate need of a wardrobe sort out, these are really useful tips. Very comprehensive and helpful tips! I try to do a big clean-out about twice a year and thanks to a few house moves in recent years have managed to keep my wardrobe quite minimal and it’s a pretty great feeling :) I think the worst thing for me used to be throwing away clothes with memories even though I never wore them anymore so I really like your tips of putting them away and setting an alarm. Same here! I’ve moved around in the past year and it’s so much easier when you own fewer things! 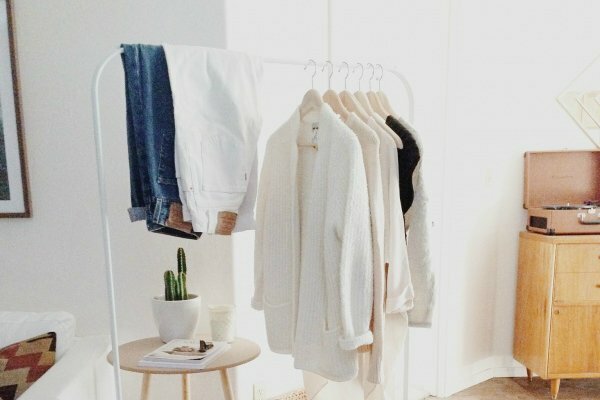 Are these photos of your actual closet? So neat and pretty!